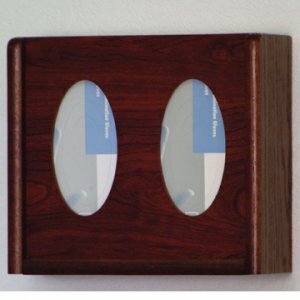 These oak glove or tissue holders are an attractive way to hide unsightly boxes. Classic oval cut-out design accommodates most brands and sizes of gloves and works well for standard facial tissue boxes. These high quality cabinets feature 3/4" solid oak sides with laminated HDF front panels. 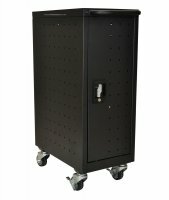 Cabinets are fully assembled and complete with hardware for simple wall mounting. Made in the USA. Inside Dimensions: 10 7/8"W x 10"H x 3 1/2"D. Dimensions: 12.375W x 11H x 4.5D. Finish: Light Oak. Materials: Solid Oak (frame), HDF (panels).